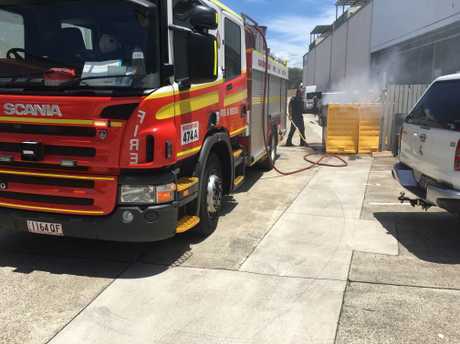 A SMALL fire in a Maroochydore commercial area, which spewed dark grey smoke around the area, has been quickly extinguished by emergency services. The source of the blaze was an industrial bin between businesses on Dalton Drv and Sugar Rd. The blaze was not large enough to do any significant damage, however, it did bring out plenty of onlookers.